Went to the doctor for my final check up. Once again, I headed to the x-ray room and took another set of x-rays. I think they have a total of three rooms for x-rays...I have been in all three. 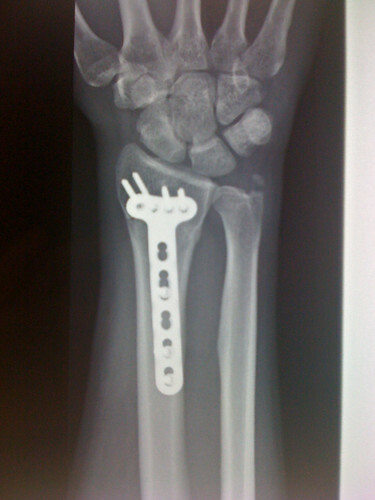 The doctor said the bone has completely healed and gave me the go ahead to do whatever I wanted. 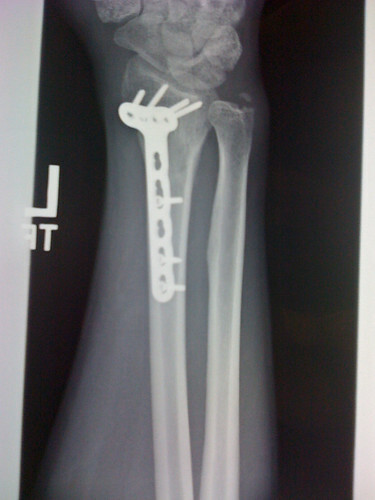 There is a little chip of bone floating at the top of the ulna, but that is no concern. It will just stay there, just hanging out...like a satellite. While my movement is about 90%, my strength needs a little more work. I skated and shot the puck around a few weeks back and it felt great. Other than the first two wrist shots I took, everything felt strong, even slap shots. Cycling, however, will take some time. All the weight, and stress (vibrations of the road) on the wrist is too much for now. I tried to ride last week, but had to turn off early due to pain. 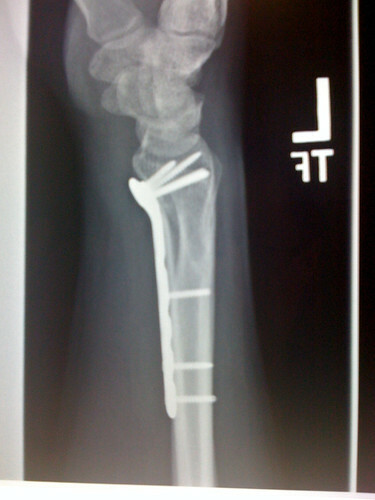 Doctor says it will be a few months before I can fully ride a bike. But, I am cleared to play hockey!